Throughout the world, the medium of dance seamlessly blends aspects of visual appeal, athletic ability and music. Dance Works, a company owned by Emma and Tim Mead, strives to infuse the love of dance, and its prominent features, into each student who comes leaping through the studio doors. allow for more room, the studio moved to a more spacious location in Oyster Point, where it continues to flourish today. “Dance is all I know,” Emma says with a smile, recalling a life filled with training, teaching and most importantly, a profound passion for dance. Mead began her dance career around age 13 by attending a ballet school in England. After schooling, Emma’s appetite for the art only expanded, as she grew older and became more invested in the world of dance. After meeting her Air Force husband, Tim, dance only took a larger role in Emma’s life. 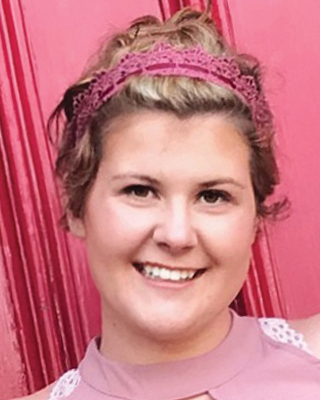 Moving around with an Air Force spouse allowed Emma to teach dance classes in Germany, Italy, England and the United States. By experiencing different environments and techniques of international dance, Emma formed her own opinions on which global aspects to incorporate within her own studio. International features of dance and dance studios played a large part in inspiring Emma to create popular dramatic recitals that occur every other year. These recitals take on a more theatrical tone by recreating popular tales such as Peter Pan, The Wizard of Oz and Alice in Wonderland. Emma creates costumes, develops choreography and integrates scenery to tell the familiar tales in a unique way, with a focus on dance and without the use of words. Familial values are another distinct feature of Dance Works that the Mead family treasures. Tim and Emma, along with their two daughters, find that most of their quality family time is spent in the studio. For Emma, it was a blessing that both her daughters followed in her footsteps and developed a similar zest for dance. “It has blown me away,” the proud business owner says when asked about the expansion of Dance Works. 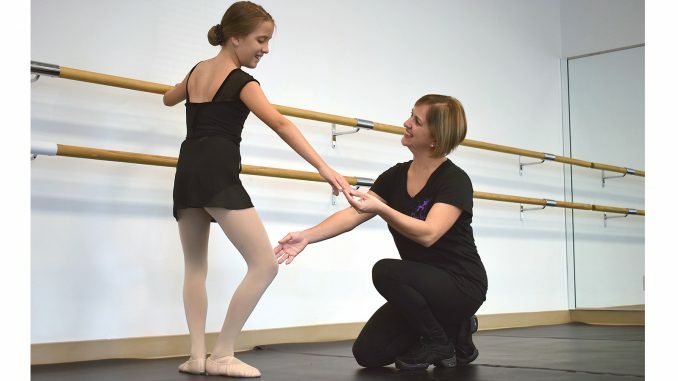 The spacious studio allows Dance Works to offer a multitude of specialized classes, including Mommy & Me, Advanced Ballet and Adult Barre Fitness, in addition to jazz, pointe, tap, lyrical and contemporary dance classes. Emma and her skilled team of instructors know exactly how to nurture a passion for dance in students with ranging dance abilities. “Every time I pinch myself,” Emma says proudly when thinking about what creating Dance Works meant to her, “I’m totally amazed at how everything seems to come together.” With sights set on fine-tuning the studio rather than further expansion, the multi-cultural and familial authenticity of Dance Works seems likely to stay intact.